The nature of our drone business is extremely diverse. This is one of the things that I love about it but it can also cause us difficulty on the operations level. Our missions, job locations and services provided are as varied as our clients. Schedules are constantly changing and always tight and all of this adds up to a business that can be logistically challenging. This is where an airplane has proven to be an extremely valuable business tool. As the Head Pilot at DroneBoy I also happen to be an airplane pilot. This has helped us a lot over the years as it gives us a much better understanding of the “big picture” above. It also helps immensely on the administration side during our many interactions with Transport Canada, NAV Canada, ATC (Air Traffic Control) and individual aerodrome operators. It has been my experience that everyone relaxes a lot when they hear that the person in charge of drone operations is also an airplane pilot because this means we have an intimate understanding of everything that is going on in the sky overhead and not just our operation. With all the current uncertainty and paranoia regarding drones sharing the sky with airplanes this can be a very valuable asset to have in our tool box. 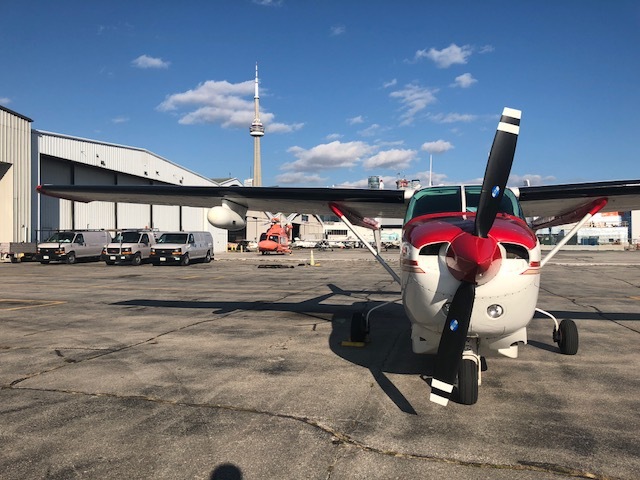 Now my Private Pilots License (PPL) is helping on another level because DroneBoy just acquired a small, yet extremely capable twin engine Cessna 337 Skymaster airplane. 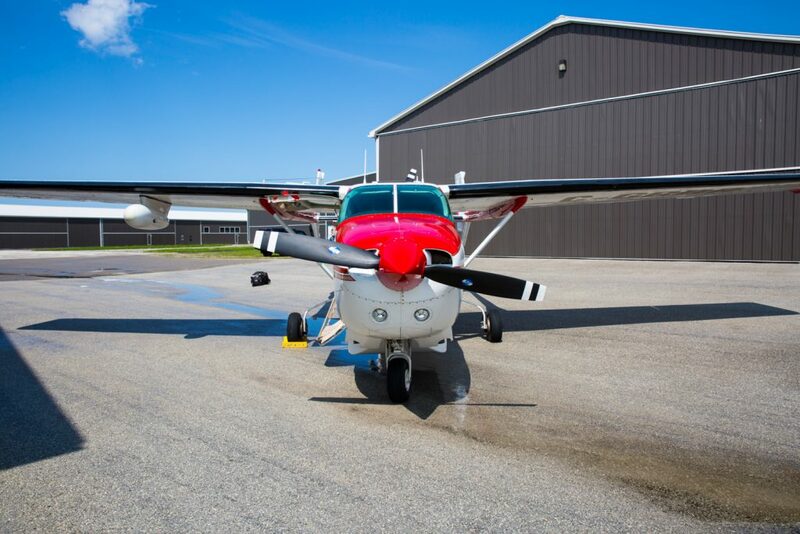 Our plan is to use this airplane to deploy our highly trained, specialized crew and equipment over a larger geographical area more quickly and efficiently. Drone jobs often come up last minute and they are certainly always time sensitive. Due to the efficiency of the drone platform we can often accomplish our specialized missions in a short period of time once we get to the job site so a lot of our valuable time gets wasted on the logistical side of the mission with the travel. In the past, this meant all night drives or scrambling to get our team and gear packed up onto commercial flights (yuck! & $$$). 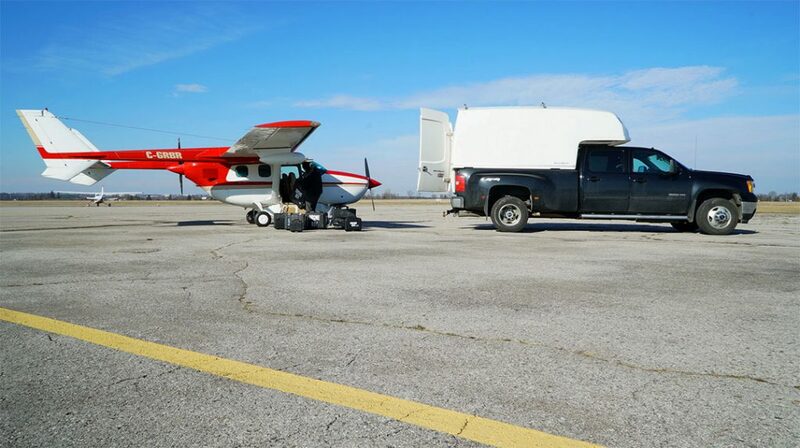 Our UAV equipment is extremely sensitive and a lot of it is custom built just for us so there was always concern over potential damage or worse yet, lost baggage. Also, I am sure you have noticed as well that airlines allow less baggage all the time and excess baggage costs really add up. Another big concern regarding air travel with drones these days is that the lithium polymer batteries that power our machines are becoming less popular on commercial airlines due to some well documented safety concerns. We foresee a potential all out ban on the transportation of LIPO batteries on all commercial flights in the not to distant future and we want to be as prepared as possible for this potential change. If we pack our own batteries safely and appropriately and fly them on our own aircraft we take on the liability ourselves and we avoid all the hassle of flying with them commercially. It’s a win win! Our unique solution to all of this is to fly ourselves and all our drone equipment to the job. Or, more accurately, we fly ourselves to the closest airport with a 2000+ foot long runway where we rent a vehicle and drive the short distance to the job site. 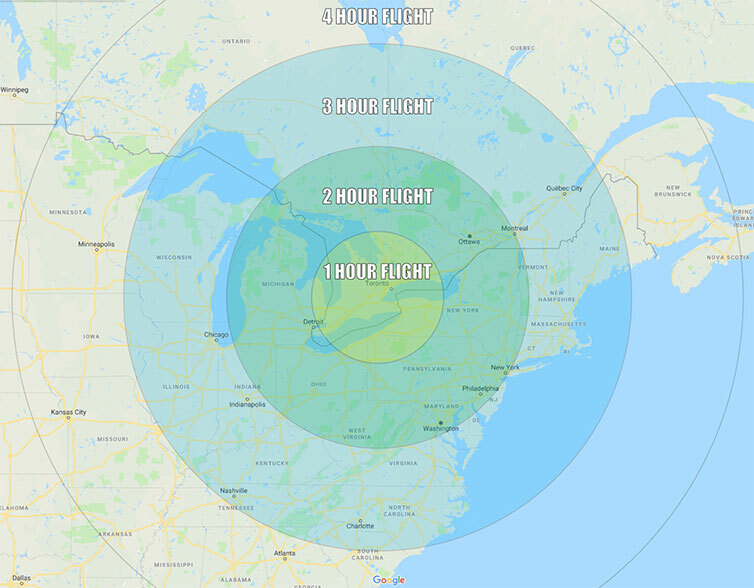 Small general aviation (GA) airports are all over the place in this country of ours and we now have just the plane to get in and out of most of these small air strips quickly and efficiently. Of course, this “flying to the drone job” concept won’t work for every out of town job that comes up but for a lot of our missions we feel that this will be a very efficient, practical and awesome solution. Also, it means that we get to own and fly an airplane which is obviously a great education and a heck of a lot of fun! 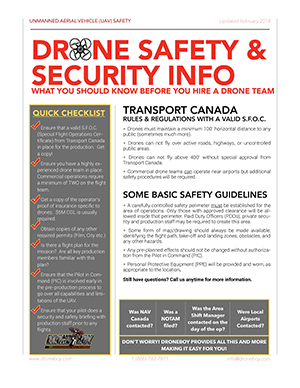 Contact us today to talk about the logistics involved in flying one of our specialized drone teams to your remote job site, no matter where it happens to be.